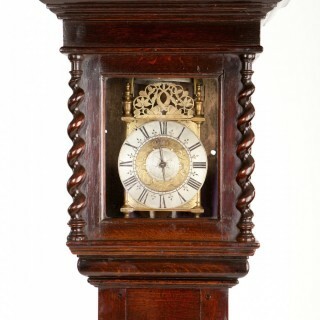 The flat topped hood has a round sound hole in the top; it has barley twist pillars with turned wood capitals and large side windows and a front none opening glass aperture, which is 8” wide and 10” high. The long trunk has convex moulds beneath the hood, a long narrow 45” door and a base with a small apron. 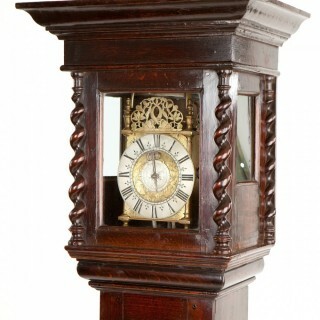 A fine rare oak lantern clock case C1680.